Let welcome to our latest and newest member to our list of authors. Let welcome Chuck Barrett to Nighttime Reading Center. He here on a book tour. He is stopping by here on December 30, 2016. I work with +Laura Fabiani iRead Book Tours and I happy learn about her book and giveaway. Giveaway ends Dec 17 Enter his giveaway DISRUPTION. Chuck Barrett is the bestselling author of the Award-Winning Jake Pendleton series—Breach of Power, The Toymaker, and The Savannah Project, as well as his latest award-winning blockbuster, BLOWN, the first book in his new Gregg Kaplan series. 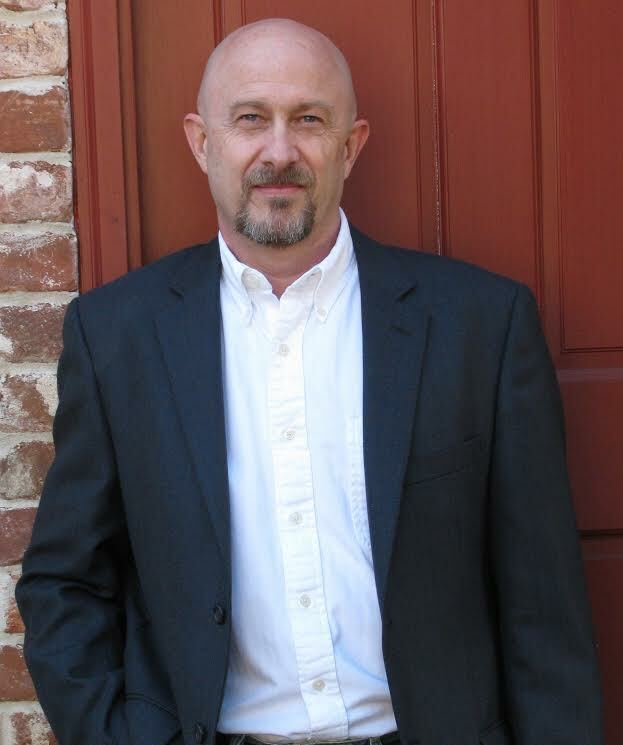 In addition to writing thrillers, Barrett speaks and conducts workshops at book festivals, book clubs, reading groups, writers conferences, and writers groups. Some of his topics include Nuts & Bolts of Self-Publishing based on his book—Publishing Unchained: An Off-Beat Guide To Independent Publishing—as well as, Blueprint for a Successful Book Launch, Getting from ‘Idea’ to ‘Finished Manuscript,’ Mysteries & Thrillers: Fact or Fiction, and Adding the “What if” in Storytelling. Barrett is a graduate of Auburn University and a retired air traffic controller. He also holds a Commercial Pilot Certificate, Flight Instructor Certificate, and a Dive Master rating. He enjoys fly fishing, hiking, and most things outdoors. He and his wife, Debi currently reside in Colorado. 1. Describe your book in 20 words or less. DISRUPTION— A pulse-pounding race to stop cyber-terrorists from releasing a string of the most heinous cyber-crimes the world has ever seen. 2. Where or how did you come up with the idea for your story? Put simply, I was engaged in an email conversation with one of my subject matter experts about the missing Malaysian Airlines aircraft over the Indian Ocean and some of the conspiracy theories surrounding its disappearance. In short order, the conversation mutated to encryption technology, coding, and hacking. From that point, I delved into as much computer hacking information as I could digest (which wasn't a lot) and then formulated a story. Basically, I had a beginning, an end, and a premise line. From there, I let the story write itself. Well, kind of. 3. How important are names to you in your book(s)? Do you choose the names based on liking the way they sound or the meaning? Do you use any resources in assisting you to choose the names? Because this story takes place mostly in Europe, and most of that in Italy, names play a big part, as they usually do. I always do a good deal of research with naming characters, which is sometimes painful. Take Middle Eastern names for example, if the name is put together wrong it could belong to the wrong ethnic tribe than your character. Of course, most U.S. readers might not know the difference, but it's still incorrect. I have several avenues I use the find character names. I use a character naming sourcebook—a physical reference book—and the internet for the first look at names. I also use the obituaries and mix first names and last names. Sometimes I even look at the names of some of my Facebook followers and mix those names around. 4. Which of your characters (in this book) is your favorite and Why? Although she is not the main protagonist, in DISRUPTION, Francesca Catanzaro was my favorite character…and for a selfish reason I think. Francesca made her first appearance in The Toymaker, but she played a very small part. In Breach of Power, she played a larger role and became Jake's partner…but the reader never got much backstory on her. Since most of DISRUPTION takes place in Italy, this was my chance let the reader see where Francesca came from and what made her who she is. Her past was rooted in Italy, so I incorporated a side plot to give the reader a fuller look at her backstory. In reality, though, it was my chance to learn more about the real Francesca. 5. Was there a certain scene in this book that was harder for you to write than others? The most difficult scene was my final scene, the Epilogue. I needed to have several things happen to set up a series of possible outcomes for the next Jake Pendleton thriller. 6. If you could cast your characters in the Hollywood adaptation of your book, who would play your characters? I wrote the first book in this series before Chris Pine had his rise to fame. When I saw him the first time, I knew that was Jake. For Francesca, I wanted a truly Italian woman with exotic beauty and athletic ability. I wrote her character with Violante Placido in mind. Just add a three-inch scar on her left cheek and you have my mental picture of Francesca. My favorite scene to write in this book was the Secret Agent Party in Baden-Baden, Germany. It is a real event and I was able to experience some of its magic when visiting the casino in the Fall of 2015. 8. Just as your book(s) inspire authors, what authors have inspired you to write? I cut my teeth reading thrillers…Tom Clancy hooked me early with Red Storm Rising. After that, I read as many books like this as I could…still do. I couldn't see writing anything other than what I love to read. 9. What writing advice do you have for other aspiring authors? Writing is fun, exhilarating, rewarding, challenging, and at times frustrating, depressing, and hard work. Through all that, when you want to throw up your hands and quit—DON'T. Keep writing. The more you write, the more you learn about the craft…and that's what it's all about. 10. Do you read your reviews? Do you respond to them, good or bad? Do you have any advice on how to deal with the bad? I don't read reviews. Just take the bad with the good…and it's mostly good. Never, never, NEVER respond or engage to bad reviews. It's a lose-lose situation. If a lot of bad reviews say the same thing, perhaps you should look at your writing. I think it's okay to thank reviewers on occasion, but mostly for taking the time to leave a review and not for whether the review was good or bad. 11. What are you working on now? What is your next project? My next project is the second in the Gregg Kaplan series. BLOWN was such a big hit that I owe it to my readers to give them some more rough and tumble action that is now characteristic of the Kaplan series. Bonus Question: Characters often find themselves in situations they aren't sure they can get themselves out of. When was the last time you found yourself in a situation that was hard to get out of and what did you do? In writing The Toymaker, I saw my protagonist Jake Pendleton, going off the deep end and I wasn't sure how to reel him back into reality. Coincidentally, I received an email from a new fan of the first book at the same time I was agonizing over Jake's predicament. (or mine) Her digital signature at the bottom of the email stated she was a clinical psychologist, and best of all, she was local. So I shot her an email back and explained where I was and what I was struggling with and if she could meet me for coffee and we could discuss it. I also told her it would be a spoiler for that book's storyline. She gladly met with me and within a few minutes of listening, she leaned back in her chair and rattled off some psycho-babble that went WAY over my head. But she explained it layman's terms and it was like she pulled the blinders from my eyes and I knew what to do to snap Jake out of his self-destructive funk. Never underestimate the value of subject matter experts! Disclaimer: I received a free copy of this book from the Publisher. I got to thank +Laura Fabiani iRead Book Tours for the Book Tour and allowing me to Honest review. +NetGalley for having a copy of this book free for download. Description: There are two types of people: those who have been hacked and know it, and those who have been hacked and don’t know it. Former Naval Intelligence Officer turned secret operative Jake Pendleton finds himself in a pulse-pounding race to stop a cyber-terrorist from releasing a string of the most heinous cyber-crimes the world has ever seen. Crimes that could render the world’s advanced technology useless. Jake teams with his partner, Francesca Catanzaro, to track down their only lead, a white-hat hacker in Italy known only as The Jew. A man who might hold the key to stop a group of black-hat hackers from causing worldwide chaos—tag named Disruption. After a search of the hacker’s flat in Rome turns up empty, Jake and Francesca follow the clues—a trail of dead bodies that leads them across Europe. Along the way, Jake discovers a possible link between recent hacks and a Malaysian airliner that mysteriously disappeared. In the final adrenaline-charged moments before Disruption, Jake and Francesca find themselves in a high-voltage race to stop these cyber terrorists from unleashing destruction against their sworn mortal enemy. Disruption is an action pack book. Jake and his partner are to stop a terrorist attack that appears to be a big cyber attack. Will they be able to stop them? What does Iran want? There are several different characters in the book. It starts out with a man being chased that has the name, Boris. There seem to be a gang of members doing the work for a man named Omar and his plan. Both Jake and Francesca are called into action to go find “the Jew” who name is Daniel. There this Macro that is Deputy Director in Italy. He seems to be into following and tracking Francesca and Jake. For what reason you will need to read the book. There seems to be a mystery as to what going on. Why and How did Macassa Air 910 disappear or vanish? 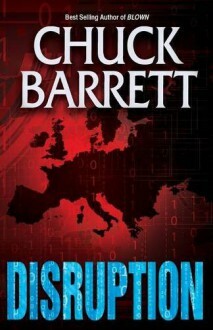 Chuck Barrett get you interest immediately with start of the book. If you are looking for a good book or mystery This one is worth your time. Though suggest if you what my opinion I think this is good for readers that are 15 years and up. Parents I would suggest to check it for your safety for your child or children. There are a few gruesome deaths. There a bit of torture in this book as well. Congrats! You read 60 books of your goal of 50!